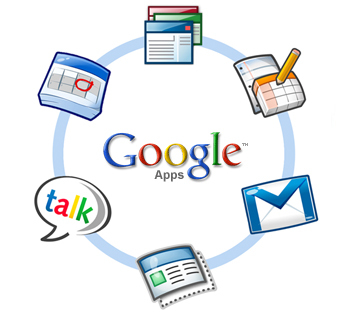 Home ▸ What-Is Definition ▸ What is Google Apps? What is Google Apps? Google Apps is a collection of web-based applications provided by Google that helps users save money and reduce IT hassles. Users don’t need to install any software on their computer or server, just open a web browser to use the online applications. Here is a question that you might ask, why does Google Apps save money and reduce IT hassles for us? Easy to answer this simple question, for instance, using a custom domain email (yourname@for-example.com) costs a lot money and time, because of a mail server and server management are required. Google Apps allows you to use the Gmail interface to host email on Google’s servers for your own domain. So you won’t worry about the mail server and server management costs. Image A-1: What is Google Apps – The main applications of Google Apps. There are awesome applications in Google Apps, including Gmail, Google Docs, Google Calendar, Google Sites, Google Talk and more. From among those applications, Gmail is almost certainly going to be the main reason for signing up for Google Apps on your website, because of that everyone needs an Email, and Gmail is the greatest Email service in the world. If you are running a small business or a personal website on the Internet and the maximum of your coworkers are less than ten, you may think Google Apps is enough to you. But if your business is growing up, signing up for Google Apps for Business is the best choice. Now, you should know what is Google Apps, but how to use it? The next several weeks I will post a step-by-step tutorial in how to sign up for Google Apps, please look forward to my posts.